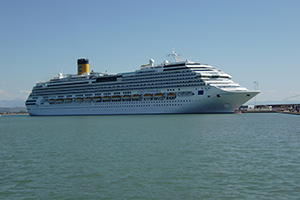 Costa Crociere S.p.A. (Italian pronunciation: ˈkɔsta kroˈtʃɛːre) trading as Costa Cruises (Italian: Costa Crociere), is a British/American owned Italian cruise line, based in Genoa, Italy, and under control of the Carnival Corporation & plc. 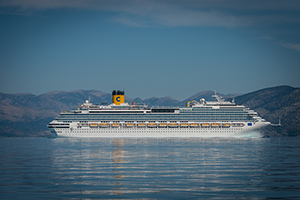 Today, as Costa Cruises Group, the company is one of the main operating companies in the Carnival group, with executive control of the groups activities in Europe. 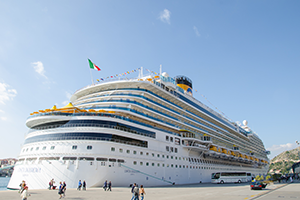 The company is responsible for operation of Costa Cruises in Italy, and AIDA Cruises in Germany and was formerly responsible for the operation of Ibero Cruises in Spain. 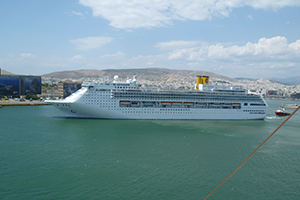 AIDA was previously a subsidiary of P&O Princess Cruises, being transferred to Costa following the merger of Carnival Corporation and P&O Princess in 2002. 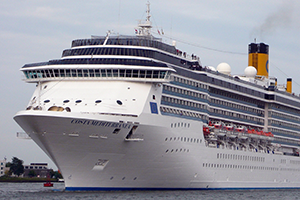 Ibero Cruises is a new brand, created in 2007 as a joint venture between Carnival Corporation and Orizonia Group. 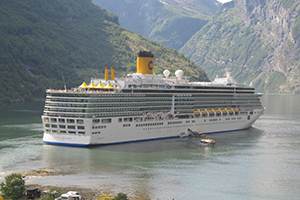 The Costa Cruises brand currently operates fifteen cruise ships, which all sail under the Italian flag and provide cruise holidays in the Mediterranean, Northern Europe, the Caribbean, the Indian Ocean, the Middle East, South East Asia and South America. 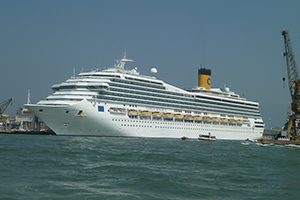 The company gained international attention on January 13, 2012 when one of its cruise ships, the Costa Concordia, ran aground and capsized off the coast of Italy, because Captain Francesco Schettino wanted to 'salute' the Italian island of Giglio off Tuscany with a close sail past at night. The captain was one of the crew to leave the sinking ship early while many passengers were still on board. The ship was left lying on its starboard side in shallow water. Thirty-two persons have been confirmed dead. 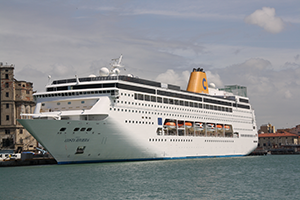 Six weeks later the company made headlines again when a fire on Costa Allegra left it drifting without power for 13 hours in waters near Somalia frequented by pirates, before the ship was taken under tow. 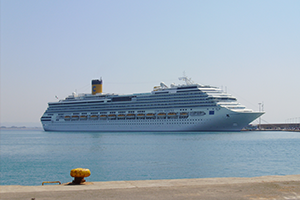 On July 27, 2014, after tugboats had slowly towed the wreck 200 miles (320 kilometers) north from the island of Giglio over a period of five days, the Costa Concordia arrived in its home port of Genoa, Italy, for eventual scrapping. The total cost of the disaster is estimated to be over $2 billion, including $500 million for the loss of the ship and $1.5 billion for the salvage and recovery operations. On February 11, 2015, Captain Francesco Schettino was found guilty by an Italian court of multiple manslaughter, causing the shipwreck, and abandoning his passengers and was sentenced to 16 years in prison. He will remain free during the lengthy Italian appeal process. 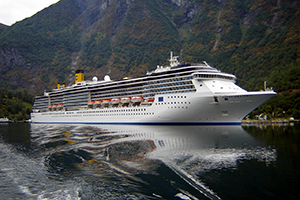 As of 2015, according to Scott Knutson, vice president of sales and marketing for Costa Cruises North America, Costa was “... uniquely positioned as the only international brand that hasn’t adapted its product to the American market. That authenticity allows us to go to a certain segment of the market. It’s those vacationers who like the international experience — the food, the wine, the service." 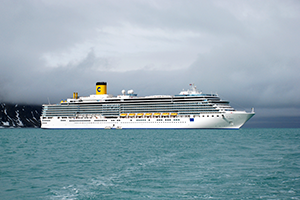 Italians accounted for 25 to 30 percent of bookings on most Costa cruises, and they were followed by passengers from France, Germany and Spain. 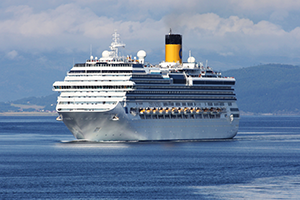 Depending on the season or destination, North Americans could make up 5 to 15 percent of the passenger list. The "universal" language on board was English. 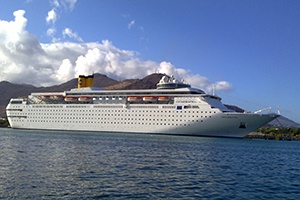 Costa Smeralda. In Costa service: 2019. Gross tonnage: 183,900. Unnamed. In Costa service: 2020. Gross tonnage: 135,500. Unnamed. In Costa service: 2021. Gross tonnage: 183,900. Angelina Lauro, Anna C I, Anna C II, Andrea C, Luisa C, Maria C, Franca C, Flavia, Federico C, Fulvia C, Giovanna C, Italia, Bianca C, Carla C, Columbus C, Danae, Daphne, Enrico C/Enrico Costa, Eugenio C, Costa Riviera, Costa Playa, Costa Tropicale, Costa Europa, Costa Marina, Costa Marina, Costa Allegra, Costa Voyager, ​Costa neoClassica, Costa Atlantica.